Touch the sky in the blink of an eye. Pump up the volume of your lashes. 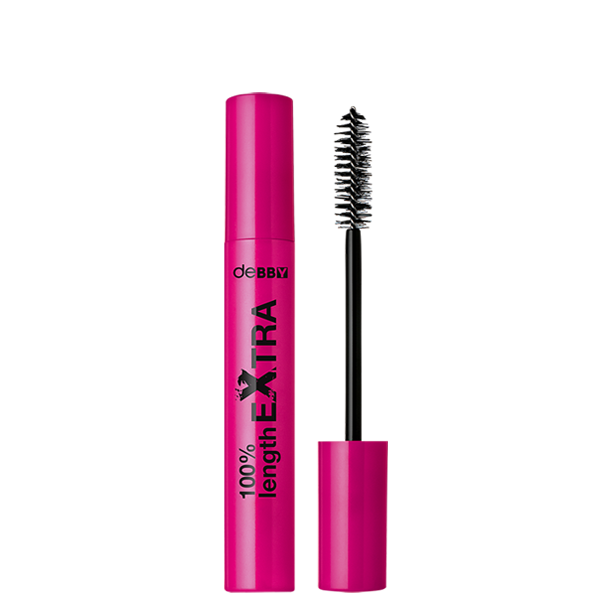 Formulated with Triple Carbon Black Complex, 100%volume EXTRA Mascara coats each lash in blacker than black colour. Lashes stay thicker and beautifully reshaped all day, every day. With the exclusive MAXI BRUSH the colour release is EXTRA-ordinary. Fragrance free. Ophthalmologist tested. IL090318D INGREDIENTS: AQUA, PARAFFIN, CERA ALBA, COPERNICIA CERIFERA CERA, TRIETHANOLAMINE, PROPYLENE GLYCOL, ACACIA SENEGAL GUM, STEARIC ACID, PALMITIC ACID, PEG-75 STEARATE, GLYCERYL STEARATE, TRIMETHYLPENTANEDIOL/ADIPIC ACID/GLYCERIN CROSSPOLYMER, ACRYLATES COPOLYMER, GLYCERIN, HYDROGENATED POLYCYCLOPENTADIENE, SILICA, TETRASODIUM DISUCCINOYL CYSTINE, TOCOPHEROL, HYDROXYETHYLCELLULOSE, RICINUS COMMUNIS SEED OIL, POLYETHYLENE, PVP, CELLULOSE, SODIUM DEHYDROACETATE, METHYLPARABEN, IMIDAZOLIDINYL UREA, PHENOXYETHANOL, CI 77266 (NANO), CI 77499.